Zimbabwe is “open for business” and will seek to rejoin the Commonwealth, its new president has said. Emmerson Mnangagwa, who succeeded the ousted former president Robert Mugabe as leader of the country last year, is quoted by The Times today as saying that rebuilding relations with the UK will be a priority for his government, as is, he says, rejoining the non-governmental organisation formerly known as the British Commonwealth, which today is comprised of 52 states that are mostly former British territories. “Zimbabwe has lagged behind in many areas as a result of isolation for the past 16 or 18 years,” Mnangagwa said, according to The Times’s report. Zimbabwe was suspended from the Commonwealth in March 2002. Altogether Mugabe had been in power for 37 years. The Times was among a number of news organisations carrying comments over the past 24 hours made by Mnangagwa, who has been speaking to journalists while attending the World Economic Forum in Davos, his first international conference since replacing Mugabe. The BBC also featured an interview of Mnangagwa, who, in a wide-ranging interview with journalist Mishal Husain on Wednesday, also delivered his message of Zimbabwe’s interest in engaging with the outside world again, and a willingness to allow foreign observers to oversee the county’s forthcoming elections. Mnangagwa acknowledged in his comments that the ravaged state of Zimbabwe’s economy was due to years of poor decisions by the Robert Mugabe regime, which he was part of until last year’s military operation that led Mugabe to resign. He nevertheless stressed a willingness to “embrace the international community” going forward, and to seek to create a situation in which the international community might embrace Zimbabwe in return. If Zimbabwe ultimately does re-open for business, it would be good news for a number of Africa-focused wealth managers and advisory firms, some of which have maintained operations there in spite of the tough times the country has endured recently. One of them is Carrick Wealth, whose chief executive, Craig Featherby, was born in Zimbabwe. The company has an office in Zimbabwe’s capital city, Harare. The deVere Group also has not one but two offices in the country, in Harare and And Bulawayo. 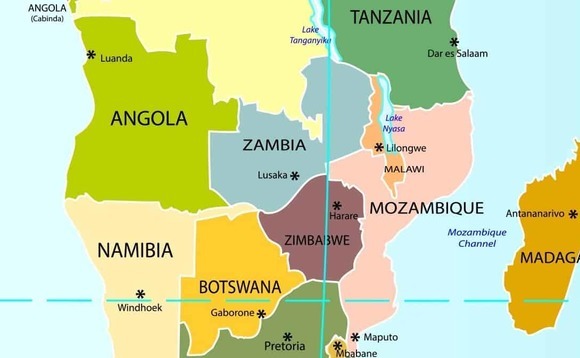 Last August, Carrick Wealth’s Featherby noted that although half of Africa’s largest economies had shown a decline in GDP in recent times, and thus had dragged down the continent’s average, the other half – a group that he noted included Zimbabwe – had shown increases. Featherby made his comments as an explanation for why he was looking to expand the company within Africa’s borders. President Mnangagwa’s expressions of interest in Zimbabwe’s re-joining the Commonwealth came just days after an official representing another African nation – the Gambia – formally presented an application by his country to do the same. Gambia’s ambassador to the UK, Francis Blain, “mark[ed] the final step of The Gambia’s bid to re-enter the Commonwealth” on Monday by presenting the Commonwealth’s secretary-general, Patricia Scotland, with his country’s formal application, according to a statement on the Commonwealth’s website. The presentation took place during a meeting at Marlborough House in London, the statement said. “Having received this formal application, the next step in the process is for the secretary-general to assess whether there is consensus among the heads of government of existing member countries for The Gambia to rejoin,” the statement added. The Gambia, a former British colony, originally became a member of the Commonwealth on achieving independence in 1965, but withdrew its membership in 2013. The decision to begin the process of applying for re-admission was made last year by the country’s president, Adama Barrow, who had been elected in December 2016.